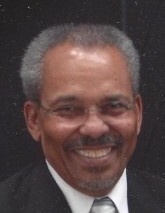 Mr. Quincy C. Garland, age 74, of Raleigh, departed this life on Sunday, March 31, 2019 at Duke University Medical Center, Durham. Funeral, 12 Noon, Monday, April 8, 2019, Baptist Grove Church, 7109 Leesville Road, Raleigh. The Rev. Bankole Akinbinu, Pastor, Officiating. Interment, Church Cemetery, Raleigh. Visitation, 11:30 AM to 12:00 PM, Monday, prior to the service. Survivors; wife, Lenora Jackson Garland of the home; daughters, Cheala Garland-Downey (John) of Durham and Stacie Walton of Raleigh; grandchildren, Tre' Walton, Branden Webb, Julian Webb, Joala Downey and Jabriel Downey; sister, Judy Jones of Ypsilanti, MI; and a host of other relatives and friends. Public viewing, 2 - 6 PM, Sunday, April 7, 2019, at the funeral home.